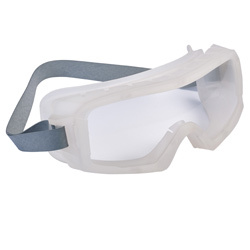 The Coverall Autoclave is designed specifically to fit over existing spectacles. They are also extremely lightweight at only 54g and use an adjustable strap for secure fitting. The Blast Autoclave is available with a higher impact resistance but it does not qualify to the EN166 grade 3 & 4 like this model does. 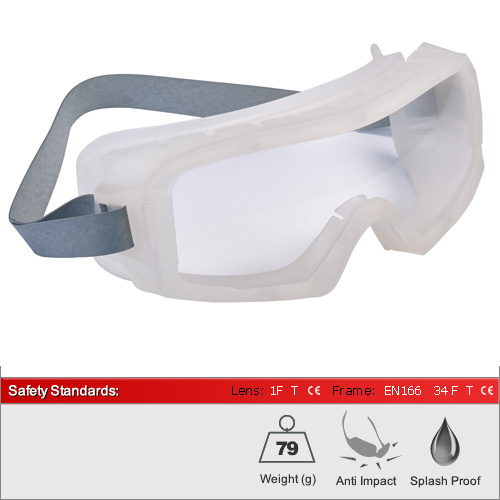 During tests for 10 minutes at 134 degrees the goggle retained exceptional quality even after 30 cycles. During tests for 20 minutes at 121 degrees the goggle should be replaced after 18 cycles which still makes it superior to almost every other autoclave goggle on the market. For even better performance try the Blast Autoclave!